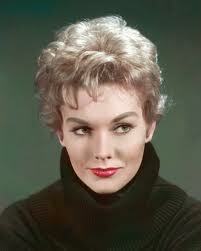 Kim Novak, when she was young and fit Americans’ standards of beauty. Public judgments of how people dress, what they eat, what they believe, how they act and how they look, have been bothering me for a long time, like a chigger bite that won’t stop itching. Most recently, it happened on “Survivor,” of which I’ve long been a fan despite its goal of outwitting and lying to other players. I see that as part of the game. What I don’t see as a game is when one player makes fun of another because they’re not young and beautiful, which one beautiful on-the-outside-but-not-on-the-inside contestant did to another older female contestant in recent weeks. That’s also exactly what was done by public figures to Kim Novak after her appearance on Oscar night. For crying out loud, why wasn’t she celebrated for being an old broad who was brave enough to appear in public? And by the way, Kim, I say old broad with great respect because I am one — and proud of it. We Americans are currently fighting, or so we say, to end bullying of young people. At the same time, I daily see bullying by public figures against those who don’t look like they’re 17, have perfect features and so much money they can afford to never wear the same outfit twice. Did anyone ever hear of the philosophy of role modeling? Kim, who I think looks fantastic for 81, was taunted with such comments as “she should sue her plastic surgeon.” — How rude!!!!!!!!!! 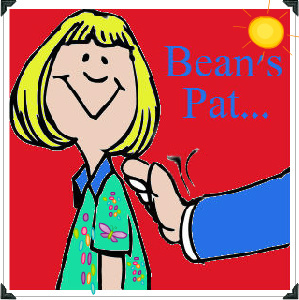 She said she hid herself away for days, but finally decided to call the hurtful judgments by their true name – Bullying. Thank you Kim for being so brave. How about the rest of us? Can we tell all the comedians and self-appointed critics that we‘re not laughing anymore? Pat, I did not watch the Oscars,nor have I been aware of this discussion regarding Kim Novak. However, I do agree with you that this is a form of bullying. In response to that though, older folks have to assert themselves in a positive way and speak out and respond to negative comments and stereotyping of older and aging people. It is a form of discrimination and should be handled as such with a well thought out and prepared answer. I usually retort to negative comments on aging with the quip, well, if you are not aspiring to be that age, you will certainly be dead by then. In addition, I hope that you will have accomplished at least half of what **** has when you get to be this age. That said, I am not sure why you stated that as an older broad she was brave enough to appear in public. My mother is 85 and she is one of the most beautiful and inspiring women in the world. I must say that in my other world, my Jamaican community, age is respected and even revered. Is one of the issues that Kim Novak had plastic surgery that has detracted from her beauty and she thus has a weird looking/unnatural appearance? The contours of her face seem to suggest that. Nonetheless, there is no excuse for taunting or disrespectful comments and she should not stand for it. Our society needs the wisdom of the older and aging population. There is a proverb that translates: With the passing of an elder goes 150 years of information/wisdom, enough to fill a library. . I totally agree with your comments Marva. Americans do not respect age for its wisdom. I was thinking that knowing the attitude of her younger peers,,Kim was brave in that respect.. And yes it would be great if she didn’t feel she needed help making herself look younger but then that’s a judgment call, too. Thanks for commenting. You put another important perspective on the issue to my soapbox rant. And keep speaking out for us old broads. . I totally agree with your thoughts and observations. I work in a very “young group” of managers and leaders at the hospital. I am likely one of the oldest members of the team. I like to think I bring wisdom, grace and thoughtfulness to the table-balance for the young and eager team members. No one has the right to make fun of Kim Novak or anyone else. Preach it. I work with our young on a daily basis, and every day our school family works to teach them to appreciate and respect one another, each for their own beauty, gifts and graces. However, so long as we the adult community, especially through our media, model disrespect and a lack of appreciation for each person’s unique beauty, what can we possibly expect from our children.